Milk Allergy to cow’s milk is the most common food allergy in infants and young children. Symptoms of a milk allergy reaction can range from mild, such as hives, to severe, such as anaphylaxis. Therefore it is advised that people with milk allergy have quick access to an epinephrine auto-injector (such as an EpiPen®, Auvi-Q® or Twinject®) at all times. To prevent a reaction, strict avoidance of cow’s milk and cow’s milk products is essential. Always read ingredient labels to identify cow’s milk ingredients. Approximately 2.5 percent of children younger than three years of age are allergic to milk. Nearly all infants who develop an allergy to milk do so in their first year of life. 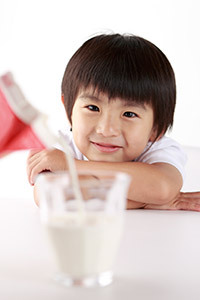 Most children eventually outgrow a milk allergy. The allergy is most likely to persist in children who have high levels of cow’s milk antibodies in their blood. Blood tests that measure these antibodies can help your allergist determine whether or not a child is likely to outgrow a milk allergy. Sensitivity to cow’s milk varies from person to person. Some people have a severe reaction after ingesting a tiny amount of milk. Others have only a mild reaction after ingesting a moderate amount of milk. Reactions to milk can be severe and life-threatening (read more about anaphylaxis). Differences between Milk Allergy and Lactose Intolerance Milk allergy should not be confused with lactose intolerance. A food allergy is an overreaction of the immune system to a specific food protein. When the food protein is ingested, in can trigger an allergic reaction that may include a range of symptoms from mild symptoms (rashes, hives, itching, swelling, etc.) to severe symptoms (trouble breathing, wheezing, loss of consciousness, etc.). A food allergy can be potentially fatal. Unlike food allergies, food intolerances do not involve the immune system. People who are lactose intolerant are missing the enzyme lactase, which breaks down lactose, a sugar found in milk and dairy products. As a result, lactose-intolerant patients are unable to digest these foods, and may experience symptoms such as nausea, cramps, gas, bloating and diarrhea. While lactose intolerance can cause great discomfort, it is not life-threatening. Formula for Infants with a Milk Allergy It is recommended that formula-fed infants who are allergic to milk use an extensively hydrolyzed, casein-based formula. This type of formula contains protein that has been extensively broken down so it is different than milk protein and not as likely to cause an allergic reaction. Examples of casein-hydrolysate formulas are Alimentum® and Nutramigen®. 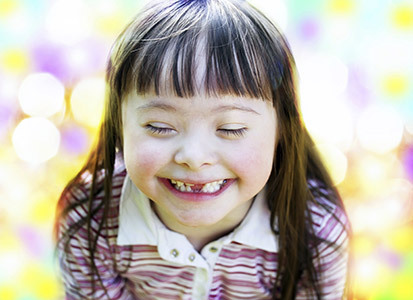 If the child is not allergic to soy, his or her doctor may recommend a soy-based formula. A milk-free formula is an excellent source of necessary nutrients, so many doctors recommend continuing its use well past the age of one year for children on restricted diets due to food allergy. Discuss your options with your doctor or dietitian to be sure that the child’s nutritional requirements are all being met. Avoiding Milk The federal Food Allergen Labeling and Consumer Protection Act (FALCPA) requires that all packaged food products sold in the U.S. that contain milk as an ingredient must list the word “Milk” on the label. Some Unexpected Sources of Milk* • Deli meat slicers are frequently used for both meat and cheese products. • Some brands of canned tuna fish contain casein, a milk protein. • Many non-dairy products contain casein (a milk derivative), listed on the ingredient labels. • Some specialty products made with milk substitutes (i.e., soy-, nut- or rice-based dairy products) are manufactured on equipment shared with milk. • Some meats may contain casein as a binder. Check all labels carefully. • Shellfish is sometimes dipped in milk to reduce the fishy odor. Ask questions about the risk of milk contact when purchasing shellfish. • Many restaurants put butter on steaks after they have been grilled to add extra flavor. The butter is not visible after it melts. • Some medications contain milk protein. *Note: This list highlights examples of where milk has been unexpectedly found (e.g., on a food label for a specific product, in a restaurant meal, in creative cookery). This list does not imply that milk is always present in these foods; it is intended to serve as a reminder to always read the label and ask questions about ingredients before eating a food that you have not prepared yourself.